Russian forces are to withdraw from Syria after a two-year military campaign which Moscow and Damascus say has seen the destruction of so-called Islamic state. The announcement came during a surprise visit to a Russian air base in Syria's where President Vladimir Putin held talks with his Syrian counterpart Bashar al-Assad. "I order the Minister of Defence and the head of General Staff to start withdrawing Russian troops (from Syria) to their homebase," said the Russian president. "Homeland awaits you, my friends. Godpseed. thank you for your service." 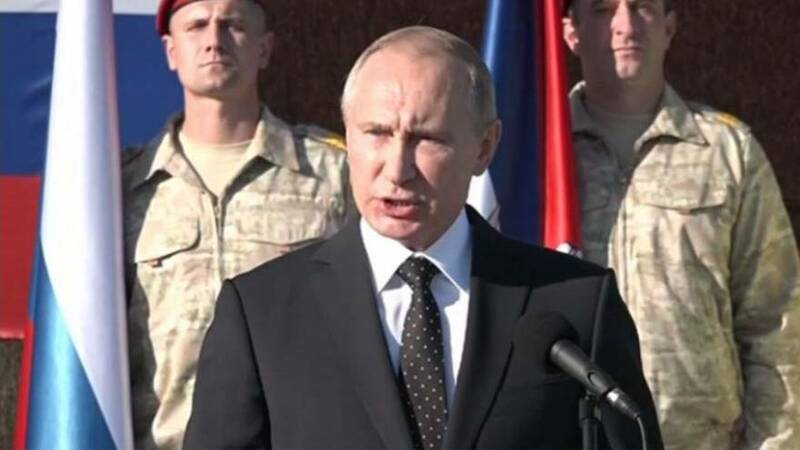 Putin said Russia would maintain permanently two bases in Tartus and in Hmeimim. And promised if terrorists were to attack again they would be struck with unprecendented force.